Indican Pictures is set to release Andrew Finnigan’s SIMPLE CREATURE this summer. The film is a modern telling of Mary Shelley’s Frankenstein as the young Em is changed, forever, by technology. Though her life is saved, with help from a complex chip implant, Em’s life is no longer her own - after a brutal bus crash. 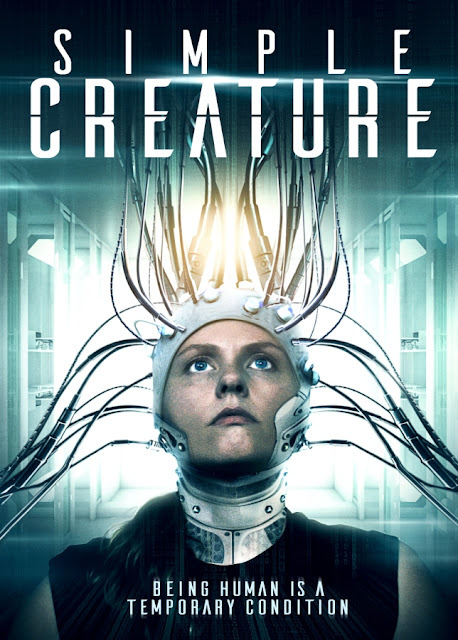 SIMPLE CREATURE stars Carollani Sandberg (All Things Hidden), D’angelo Madili (The Invoking), Russell Hodgkinson (“Z Nation”), Alycia Delmore (Grimm) and Tony Doupé (Wild) also star. SIMPLE CREATURE is featured in the upcoming issue of SciFi Magazine. Techie college student, Em (Carollani Sandberg) heads home for holiday break, blissfully thinking about her new boyfriend is on the way. However, her life is put on hold when the bus she is taking crashes, nearly killing her. Em's father, Roy (Tony Doupe) is grief stricken. He is also the head of an advanced genetics, nanotech, and robotics lab. Here, he is able to bring her back to normal, with additional technology-enhanced abilities. While Em struggles to find her humanity after being upgraded, Roy’s lab struggles to control their most successful experiment. The trailer (below) shows Em struggling with her new upgrade. Implanted with a new, advanced chip, she begins to experience reality differently. Not ready to let their experiment leave the lab, Em is pursued by the research team; however, the powers that be cannot allow Em to return to what she was before. Simple Creature [OFFICIAL TRAILER] (2017) from Indican Pictures on Vimeo. Indican Pictures has set a date for the film’s release. SIMPLE CREATURE will show on Video-on-demand from 25th July, and will be available on DVD from 22nd August. SIMPLE CREATURE will be available nationwide, across North America.